Its holiday season and we all enjoy a holiday! August in terms of staffing numbers, does put an additional strain on those who are left in the office. Let’s be honest; we don’t particularity want to come back to a stack of emails, chasing customers and suppliers and all the work within Sage that has backlogged. Even more so, you can significantly reduce the workload by following our 5 helpful tips. It’s all well and good setting an automatic out of office email, something along the lines of… “Sorry, I am on annual leave and won’t return until August 30th”. But think about it, does that really provide any help for your customers? Could you improve on your customer service even with a thousand-mile distance between you? And if so, how will your suppliers know that their invoices will be paid in time during your escape from the office? Instead, you could provide the best customer service you can by providing them with the details for the most appropriate person in the office in your absence. They can then go ahead and contact them and could receive the response they require, without having to wait for your return. The information you would typically need to include would be an email address and a contact number. This simple action would dramatically reduce the number of emails and you would need to respond to upon your return. Alternatively, you can include a link to your companies website where they can fill out an enquiry form. Lets up that level of good customer service and actually contact your key contact for both customer and supplier directly. Make them aware of your forthcoming absence and who their new point of contact will be for a short period. There is nothing worse than coming back to a number of issues that could have been resolved by your peers if only they had the access and permissions to do so. Sage 200 is incredibly flexible and we have the ability to allow the next appropriate person in the office to have the same permission as a particular user for the time we are away. The process of copying your role and permissions is a relatively simple one. 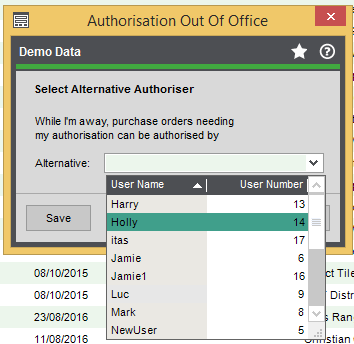 However, if you need help with this please see our blog on ‘Adding New Users in Sage 200 – FAQ‘ in which Wendy explains how to copy a users role to another. Setting up another peer with the same access will give them the resources they may require. They will then be able to respond to those emails that have been directed into their mailbox by your automatic out of office email. As we have mentioned time and time again, Sage 200 is incredibly flexible and resourceful. 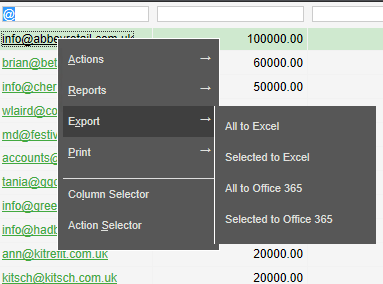 We actually have the means to export all customer emails from the customer information within Sage. This means, that you have the ability to email each and every customer from the business and make them aware of your upcoming absence. These emails should follow the advise from the first point. This is great customer service and I assure you, your customer would be grateful for the early notice. Emailing your customers early will also give them the chance to contact you with a current query prior to your absence. In-hand, significantly reducing the number of email/queries/chases you would need to complete upon your return. This then exports all the emails to Office 365, where you can then produce an email and sent it out to call your customers. We also have the option to create a report containing all customer emails. To view the report we have set up to pull customer emails from within Sage please take a look at our report: ‘Customer Emails Report‘. You may work for a company that closes some warehouses for a period of time during the summer months. We strongly advise that you amend the purchase orders deliveries that are due to be delivered for the time it will be closed. Head to: Purchase Order Processing (POP) > Purchase Orders List > Amend the ‘Status’ tab along the top to show all live orders. This then gives you an idea of the number of purchase orders that are due to be delivered in the coming weeks. If you have a large number of live orders due to be delivered, we would advise that you produce a report for all orders set to be delivered to that particular warehouse. 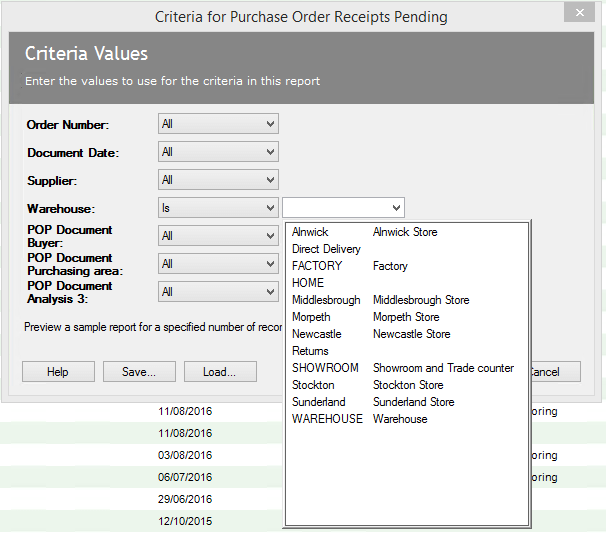 The criteria values window then pops up, and you will need to change the drop down for the Warehouse field to ‘Is’ and select the warehouse that is due to be closed from the list in the drop down. Once the report is produced you can then use the list and go in and change all those purchase orders due to be delivered to that particular warehouse and select another warehouse. Completing this process will reduce the likelihood of any orders going missing. Also, if the time of warehouse closure coincides with your annual leave it reduces the man-hours, you would burn once you return chasing each delivery. Whilst you are away, you really wouldn’t like to be disturbed by a colleague from the office giving you a call because they cannot amend or access a certain field or customer from within Sage, would you? Avoid this by setting up an alternative user with the same authorisation as yourself whilst you are out of office, which in hand will reduce workload! From this window, you would need to select the drop down and choose the next appropriate user to have the same authorisation as yourself for the time you are away. Once you have selected the appropriate user hit Save. Upon your return, you will need to clear this, in order to go back to normal. 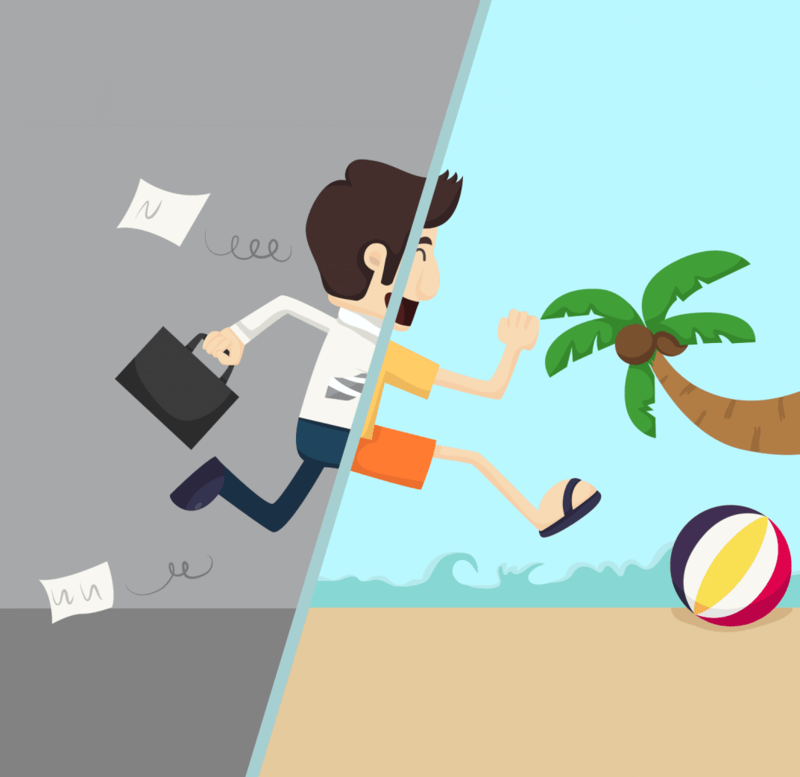 These 5 easy steps will not only ensure you have a lovely, stress and interruption free holiday but will actually reduce workload for when you return and come on, who doesn’t want that? You will appreciate it, your colleagues will appreciate it and most importantly your customers and suppliers will appreciate it. Every business wants to give the best customer and supplier service so implement these 5 steps and reap the benefits.